The 996 generation of 911 was introduced in 1999 with much fanfare, ballyhooing, havering and caterwauling. Whenever a new generation of 911 is introduced the weenies come out of the woodwork and complain about how soft and lame the new generation is...except this time they were correct. But screw all those negative Nancys and their complaints of "its not noisy enough" or "the rear main seal always leaks oil on my baby puma skin driving shoes" and "the engine cannot be rebuilt and needs to be replaced for the cost of a kidney"...because for the price of a good 993 you can get two good 996s and they are faster, more comfortable and better cars...for the most part. 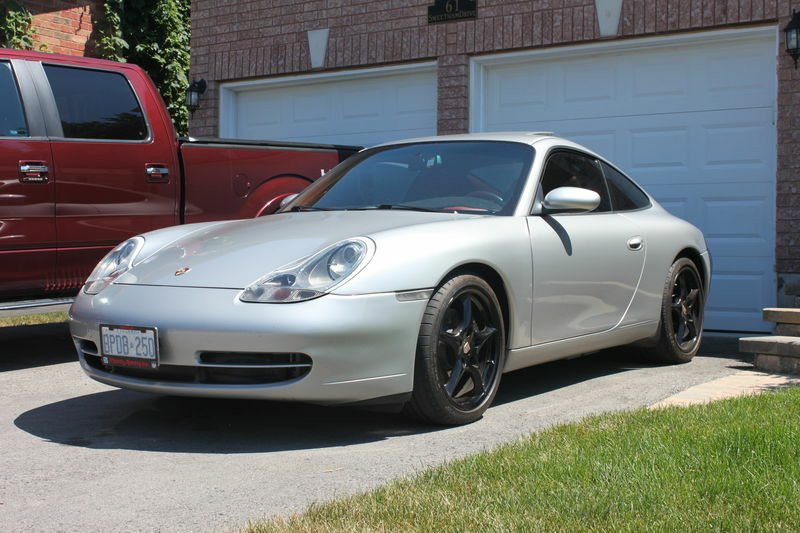 Find this 1999 Porsche 911 996 C2 for sale in Buffalo, NY for $24,900 asking via pelicanparts.com forums. You don't need to be the douche who dresses up in a Porsche jacket, Porsche hat, Porsche pants, and Porsche shoes to drive a 996...but...it will probably make you feel better. A used 996 is the automotive equivalent of driving around with a Bobcat in a cage made of breadsticks in the back seat. Sure, for a while the Lynx rufus will assume the cage is real and be content to stare at the scenery, but eventually a speedbump will crack one of the breadsticks and it will figure out that it isn't really contained and likely try to eat your liver. 996s are like that, they will be great for years and then one day poop the engine out on the I-5 leaving you stranded with an $18,000 engine replacement bill and no liver. 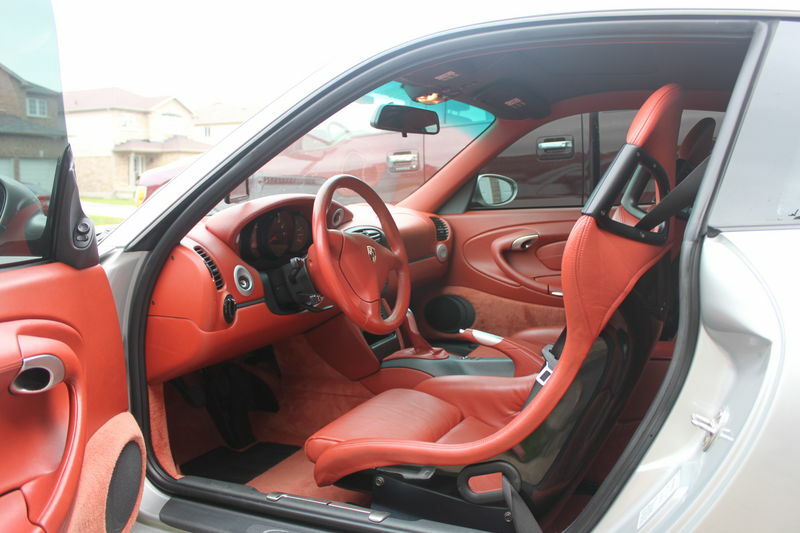 The inside of this 996 is equipped with Porsche GT3 seats that are covered in skittles red interior...much like the rest of the interior. Bottom line - this is a cheap entry price into the world of rear engined P-cars and the engines can actually be rebuilt but that likely costs more than the price of a new replacement mill. This one only has 51,000 miles so you may have some time before that's a concern. Or you can take it to a whole different level ($) and get a 996 turbo or GT3 that has the iconic GT1 metzer motor that will last forever.